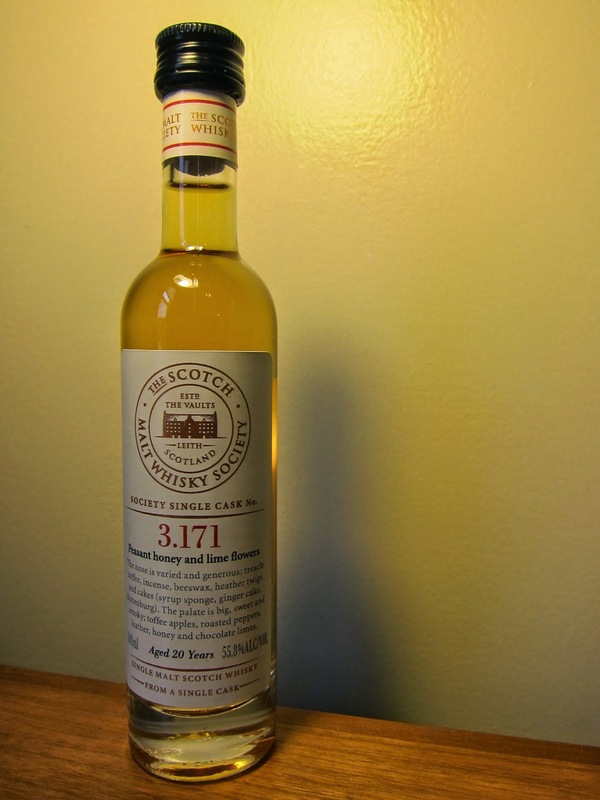 SMWS Cask 3.171 20yo (55.8%): This afternoon I have a Bowmore bottled by SMWS on my desk. It is one of the three wee bottles I received with my welcome package when I joined the Society. 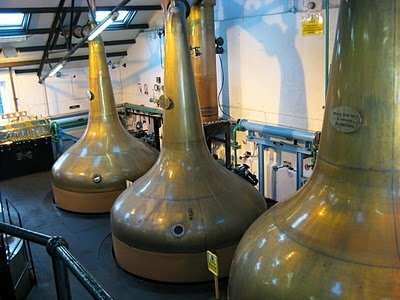 Bowmore is one of the two oldest distilleries in operation in Scotland with Glenturret (still an ongoing debate about who is the oldest...) dating back to 18th century and one of the seven distilleries with its own malting floor. The distillery is owned by Beam Suntory. After I visited this gorgeous distillery and the picturesque village of Bowmore in November 2009 I started to pay more attention to their releases and it became quickly one of my favorites. I am pretty excited to taste this one now. Color: Yellow gold, light amber. Nose: Surprisingly peaty and vibrant for a twenty year old dram. Ashes of a small bonfire at the beach. Wet beach sand, orange blossom honey and scented candle. Dried apricots, candle wax, honey comb and orange zest jam. With a few drops of water it gets sweeter: Wet Manila rope, green hemp and cookie dough with scraped vanilla beans. Palate: Pine cones thrown into a campfire. Roasted pine nuts, pine resin and cedar tree branches. Grilled banana peppers, burnt orange zest and thick leather vintage bomber jacket. Water makes it more peppery, less piney: Green peppercorns, blood orange, Meyer lemon slices and wet cardboard boxes. Finish: Very long and sizzling with fresh green pepper, freshly squeezed lemon juice and unstruck matches. Overall: It is a beautiful cask indeed. Must have been a second fill bourbon cask. It is a well matured and balanced whisky but somehow still managed to keep its uneasiness and crispness after twenty years. Cannot imagine anybody having a problem with this cask. Would love to have a full bottle but instead I will try my best to sip this one a little longer.